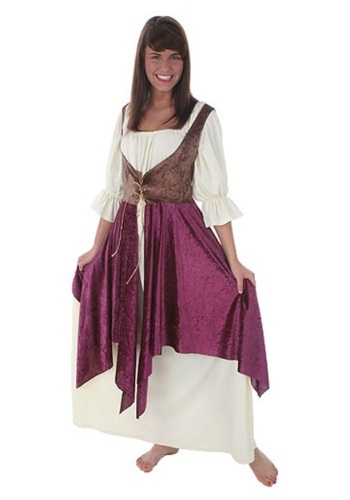 Plus Size Tavern Lady Costume By: Fun Costumes for the 2015 Costume season. Taverns are delightful places to spend time, unwind, and meet with friends, but they can start to all look the same. That's why the Tavern Lady is so important! She has to be cool, attentive, and able to partake of conversation on any topics. That's a whole lot of criteria for someone who's just serving mead! But if you want to be the best Tavern in town, it's what you gotta do!